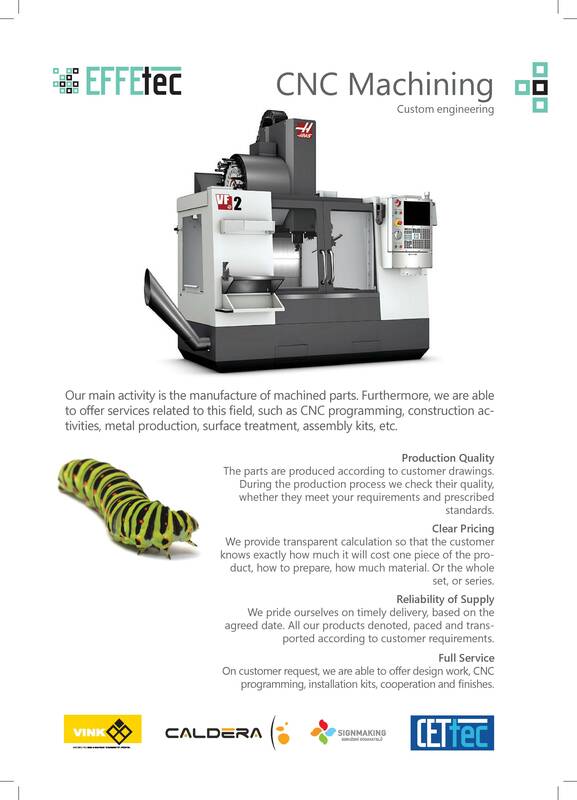 New design of leaflet have also CNC machining and 3D printers - Effetec s.r.o. Our main activity is the manufacture of machined parts. 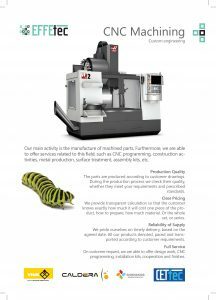 Furthermore, we are able to offer services related to this field, such as CNC programming, construction activities, metal production, surface treatment, assembly kits, etc. The parts are produced according to customer drawings. During the production process we check their quality, whether they meet your requirements and prescribed standards. ulation so that the customer knows exactly how much it will cost one piece of the product, how to prepare, how much material. Or the whole set, or series. On customer request, we are able to offer design work, CNC programming, installation kits, cooperation and finishes. Adjustment and servicing of 3D printers. Sales of print strings, accessories and spare parts. 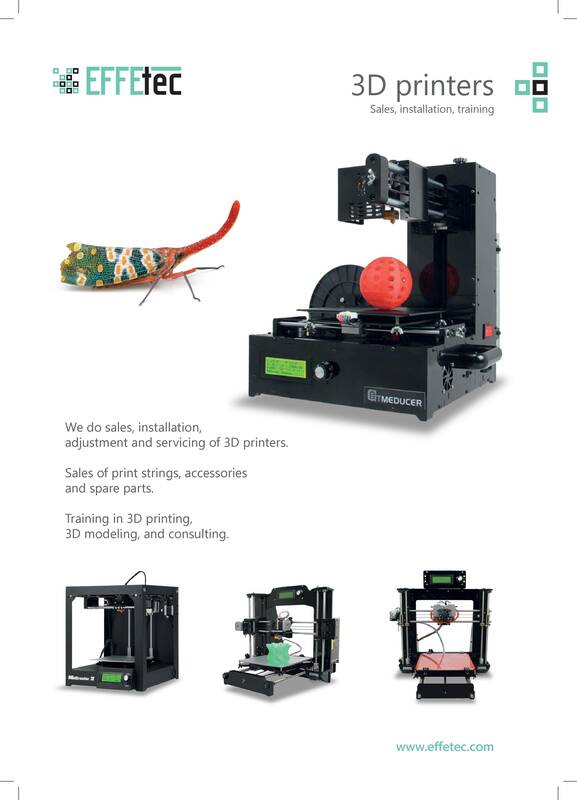 Training in 3D printing, 3D modeling, and consulting.